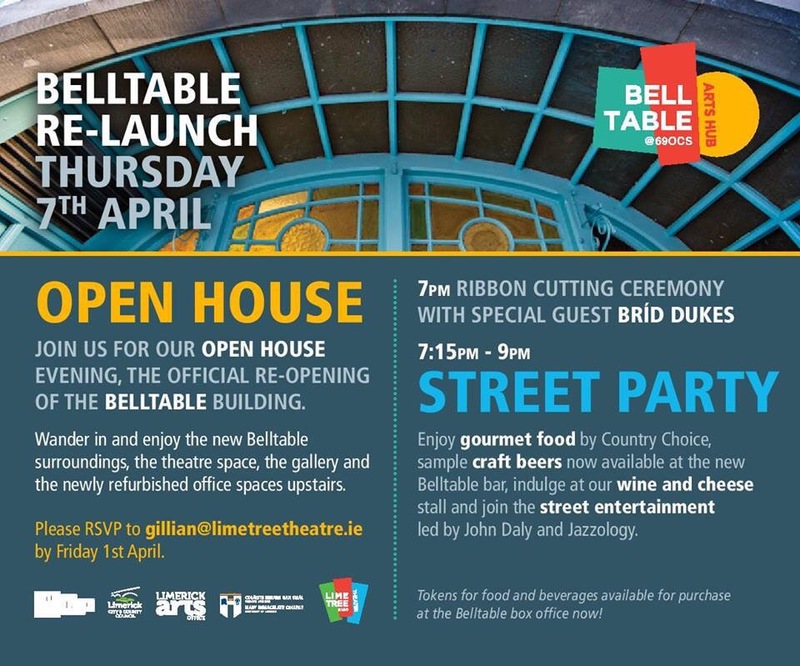 Limerick’s Belltable Arts Centre and Theatre will relaunch on April 7th next when the public are invited in to look at the new theatre layout and spaces. The event organised by staff at the parent theatre of the Belltable, the Lime Tree Theatre will feature lots of music, a street party and plenty of craic. The event will be the first event in the theatre space at 69 o’ Connell St, since refurbishment began. The open house should prove to be popular among the cultural aficionados in Limerick. The event starts at 7pm and guests should rsvp.